50 1st class plus 360 emigrant class. Reduced to 12 passengers in the 1920s. Steam triple expansion, 22", 35", 57" x 42", 250NHP. 13.5 knots. Requisitioned as a naval stores carrier in October 1914, released in October 1915. 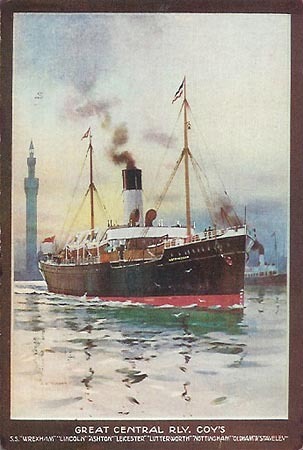 Sold in 1932 to British & Irish Steam Packet Company without change of name. Broken up at Preston in March 1933.